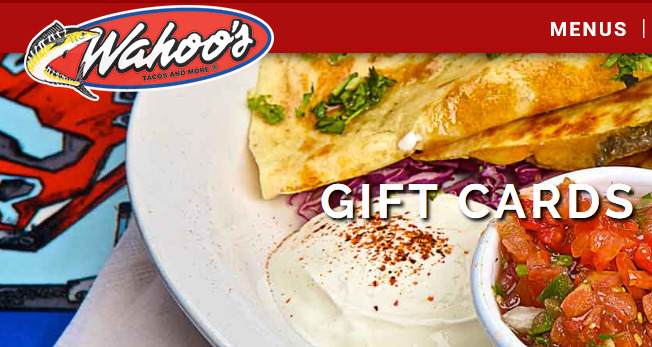 Treat yourself and others to a healthy meal at Wahoo's with this giftcard! No purchase necessary to enter, open to California and Colorado residents. Wahoo's started in 1988 in a small location near the beach in Costa Mesa, CA. Three brothers took their love of surf and food to create a unique restaurant that serves up a fresh, light and tasty fusion of Brazilian, Asian and Mexican fare.